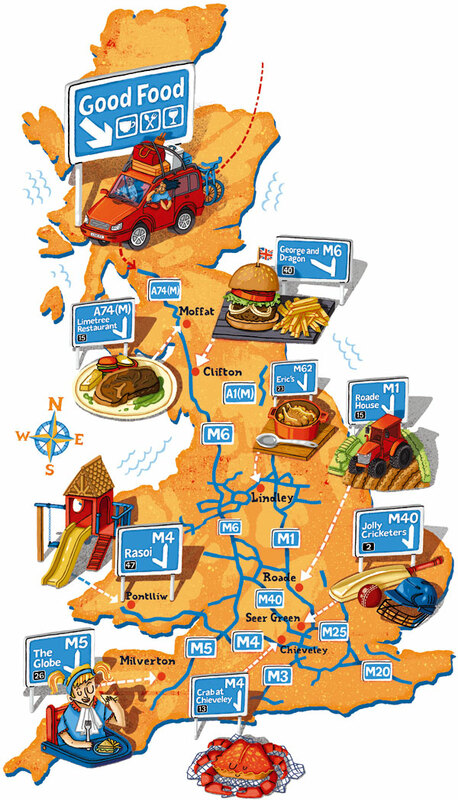 I was asked to produce this fun map of alternative motorway restaurant stop-offs, not your average services food but something a bit more gourmet. I thought it would be fun to highlight each stop with its own little blue motorway sign with the motorway and exit number needed to get there. I’ve had a map happy few months so please do take a look on my site for more examples!